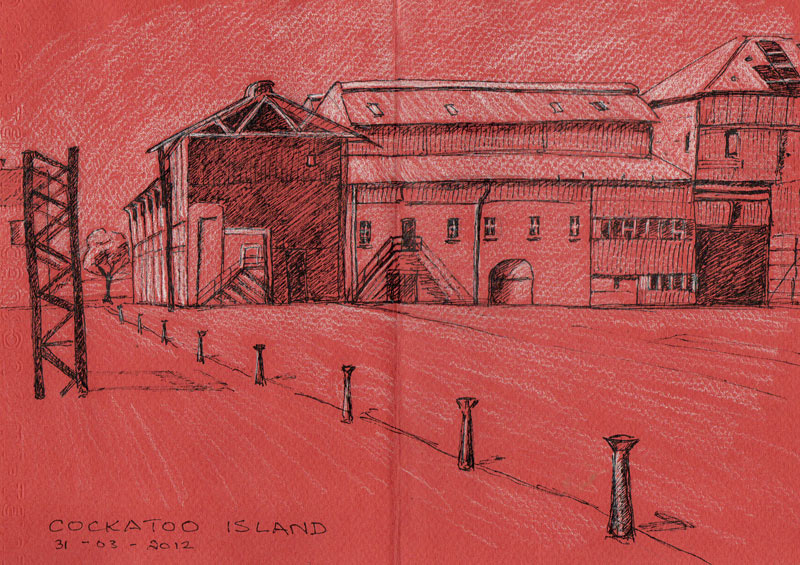 Urban Sketchers Australia: Cockatoo Island - twice. 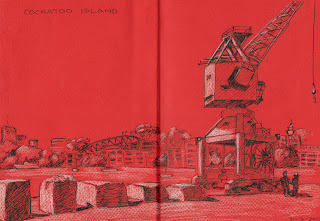 It was a unanimous decision on the part of my Keeping a Sketchbook class to go to Cockatoo Island. They were so keen they were at Circular Quay for a ferry earlier than the one we'd planned. Homework had been to read Cathy Johnson's art tip about working on a toned ground and I supplied a number of colours of paper. These buildings on the terracotta ground are what you see as soon as you arrive. I've been meaning to draw them for ages, and now I need to do them again. 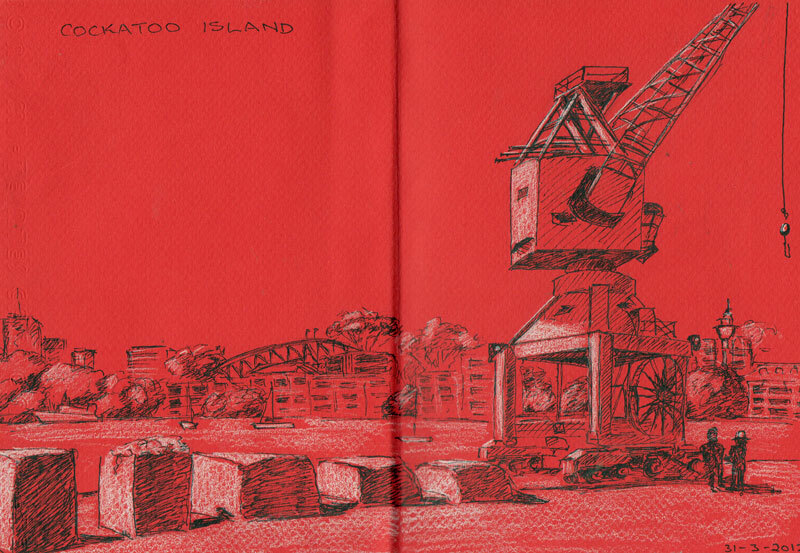 Cockatoo Island cranes always appeal to me. Each one seems to have its own personality and when you've sketched them, you add even more personality. Unfortunately they are cleaning them up and painting them. They were so beautifully distressed, but they were falling apart. This one is on the east side looking back towards the city, the harbour bridge and Centrepoint Tower. 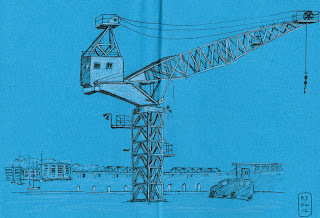 The sketches on blue were done when I went back a few days later. I still had plenty of coloured paper. 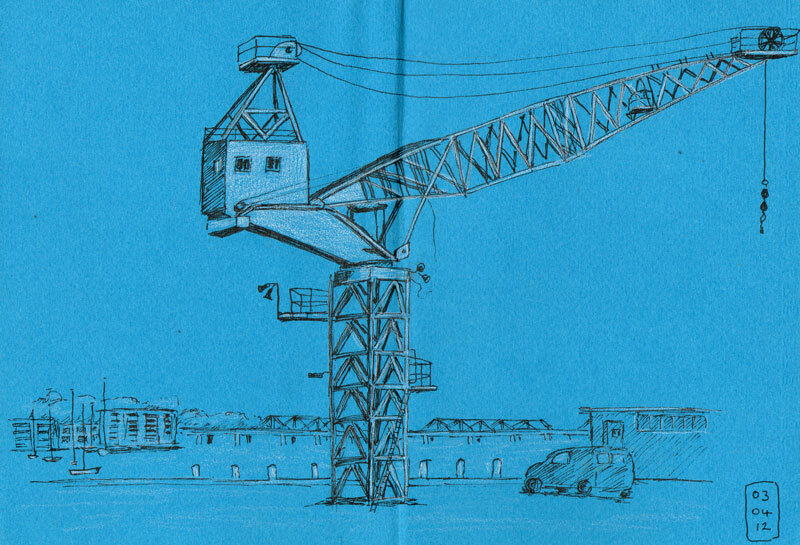 This crane is on the west side of the island with Iron Cove bridge in the background. 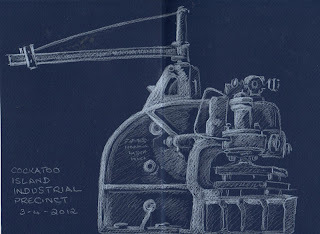 Lastly, we went inside the turbine workshop to sketch the old machines. 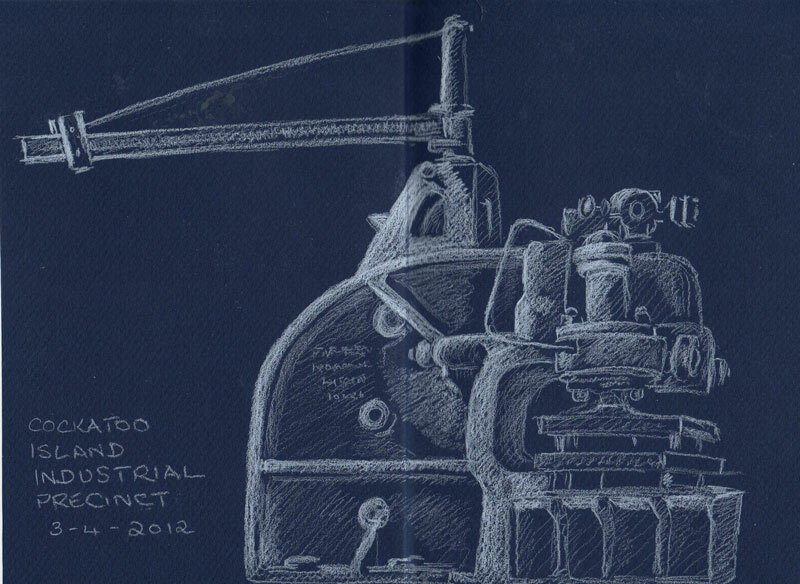 The afternoon sun was coming in a window high up on the left and catching the left top of the machine. Many more fantastic old machines in there. 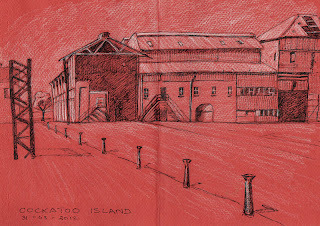 I hope to sketch in there again soon. Canson Mi-teintes paper with Copic Multiliner black pen and Prismacolour white pencil. (No pen on the machine).